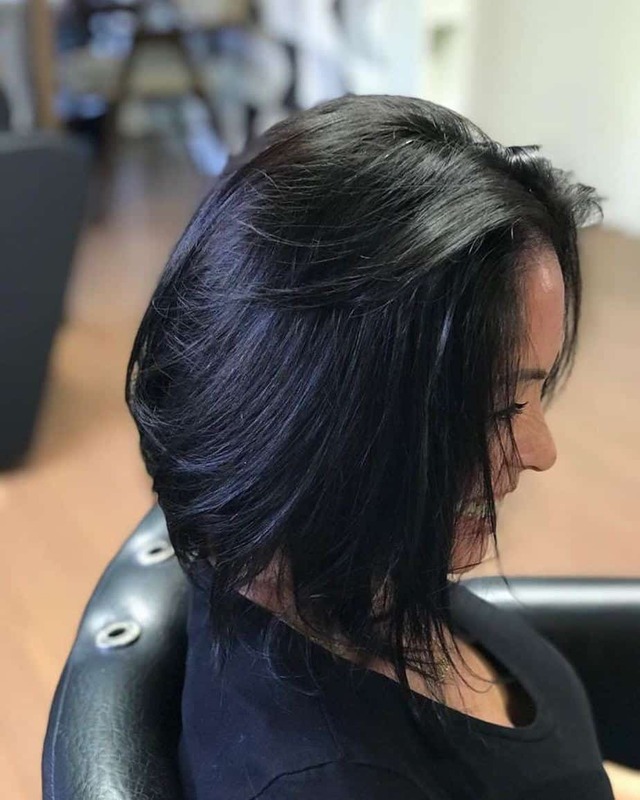 Often, a haircut is the key point of your style. Depending on the way our hair look, it affects the whole appearance. 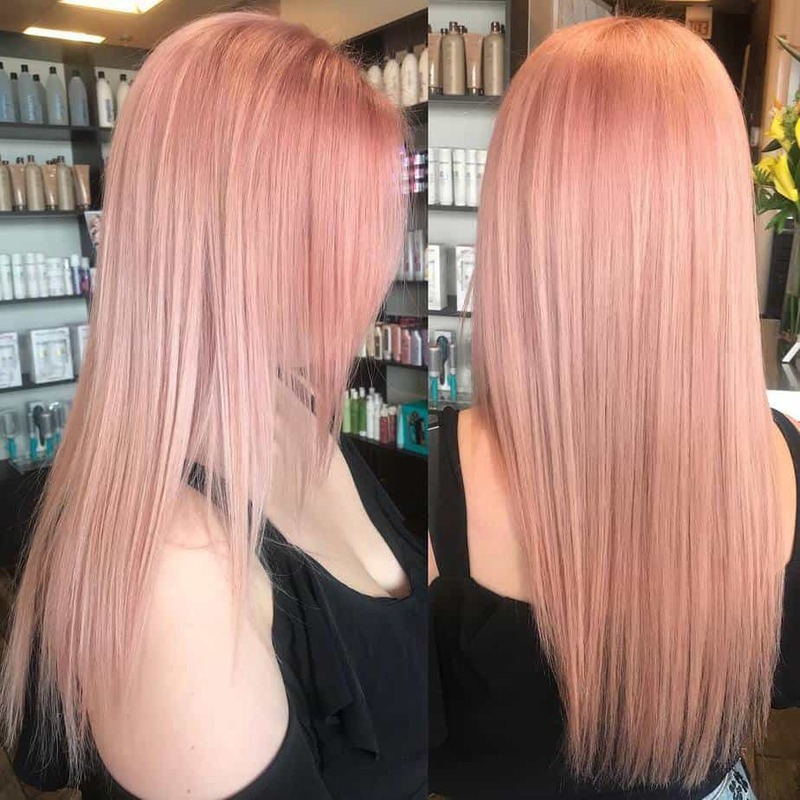 Therefore, it is important to keep abreast of latest hairstyle trends 2019 from the world of fashion. 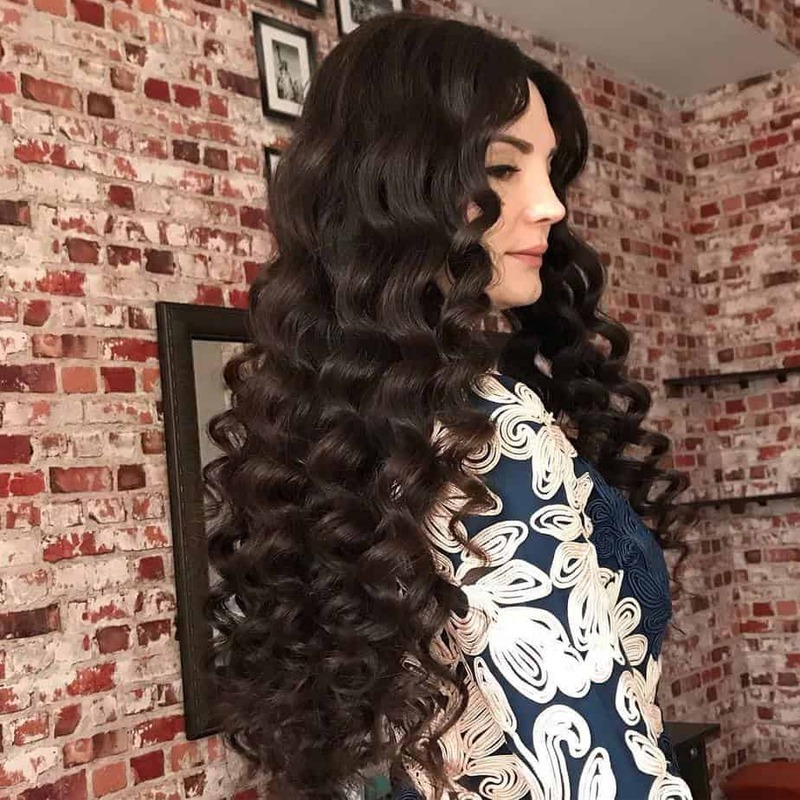 Fashionable hairstyles in 2019 will allow you to look perfect even without updates in wardrobe. Conversely, they will help to wear the most trendy outfits with dignity. 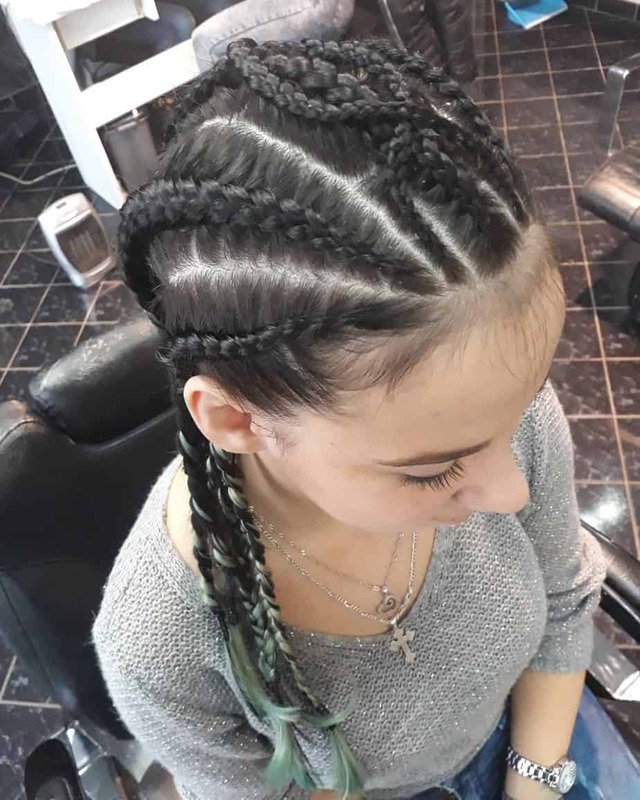 Braids and short haircuts, careless and lush styling are in fashion. 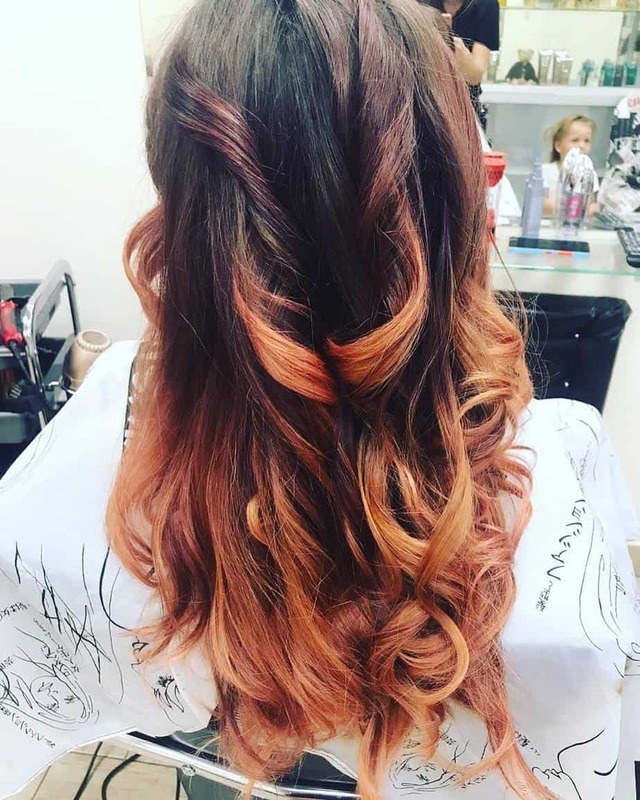 Let’s see what are the hairstyle trends 2019 in detail. Short hair is very relevant today. 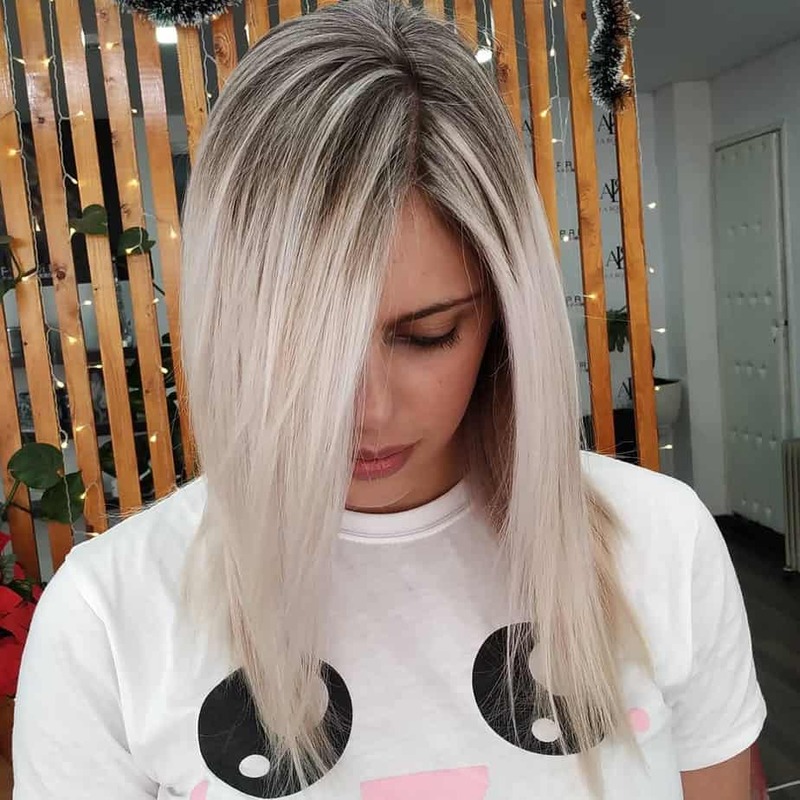 Hair trends 2019 female followers are too busy to spend considerable time caring for long hair. 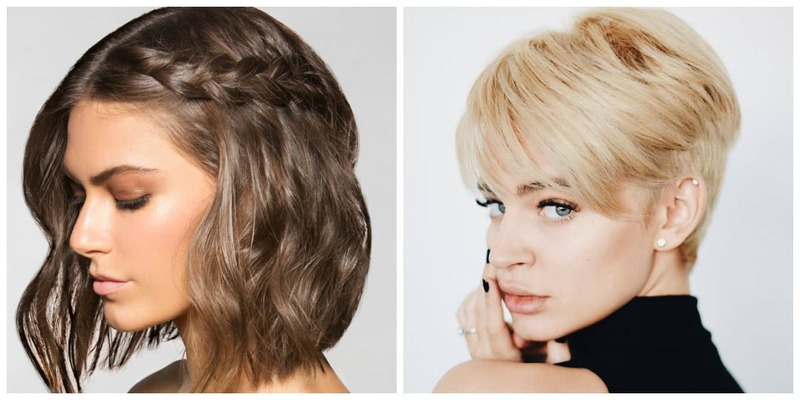 Short haircuts are in hairstyle trends 2019. The laying process shouldn’t take more than 10-15 minutes. This is in case if your hair doesn’t hold shape or you wash your hair every day. In a different situation, a haircut should be laid only after washing, that is, every 2-3 days. 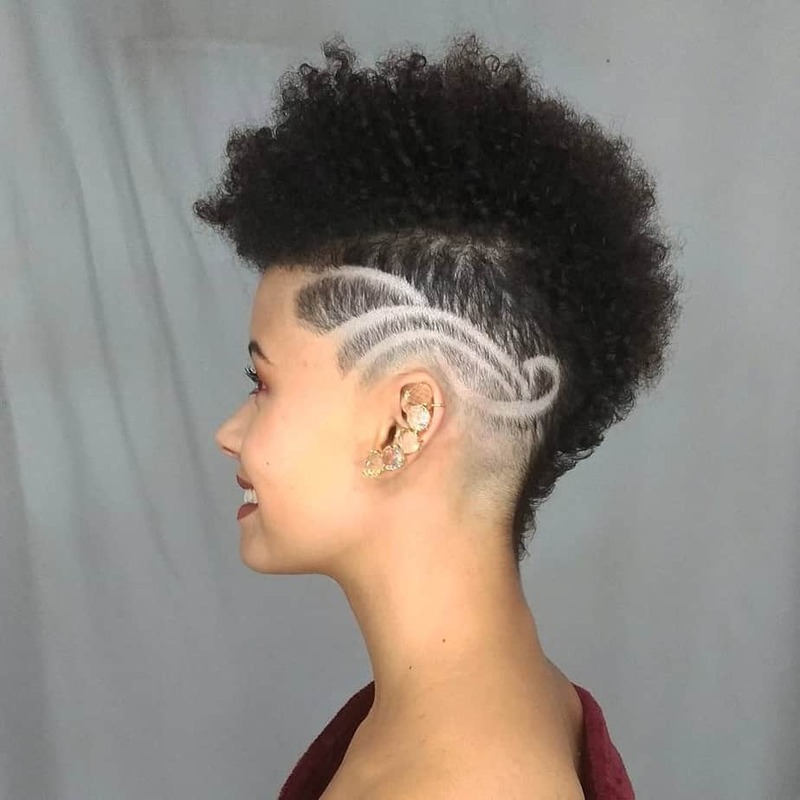 Hairstyle trends 2019 female followers with short hair should read this part carefully. Divide your hair into straight parts and lightly twist the ends with a curling iron for an every day feminine style. In case the roots of the hair aren’t too fresh, while the main length is already done, lay the hair on one side. Fix the smooth part with a large barrette, and whip and divide the other part of the hair into textured, slightly curled strands. 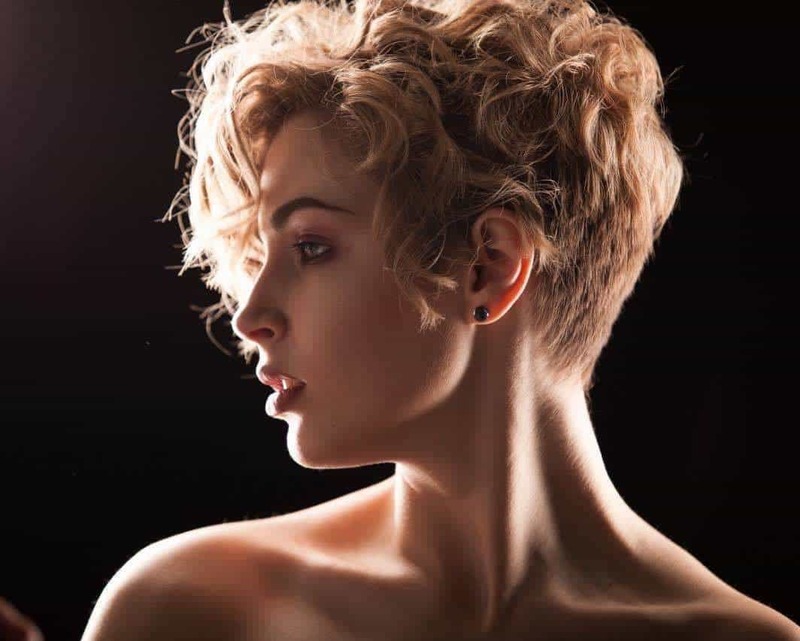 This styling is ideal for women with curly, stiff hair. Straighten your hair with a hairdryer and comb them back to get a cocky and an ultra-stylish look. Use gel for fixing, but in a way that the hairstyle retains the uneven texture and volume. Any of these quick folds will suit any type of haircut without a strong difference in hair length. 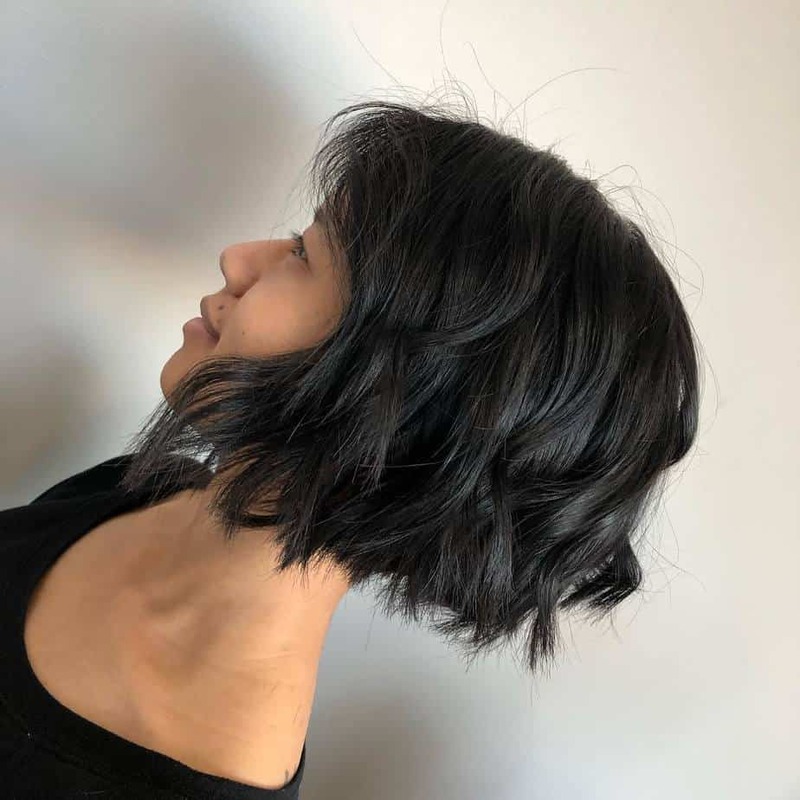 The length from the middle of the ear lever to the shoulders is a perfect length for a haircut. 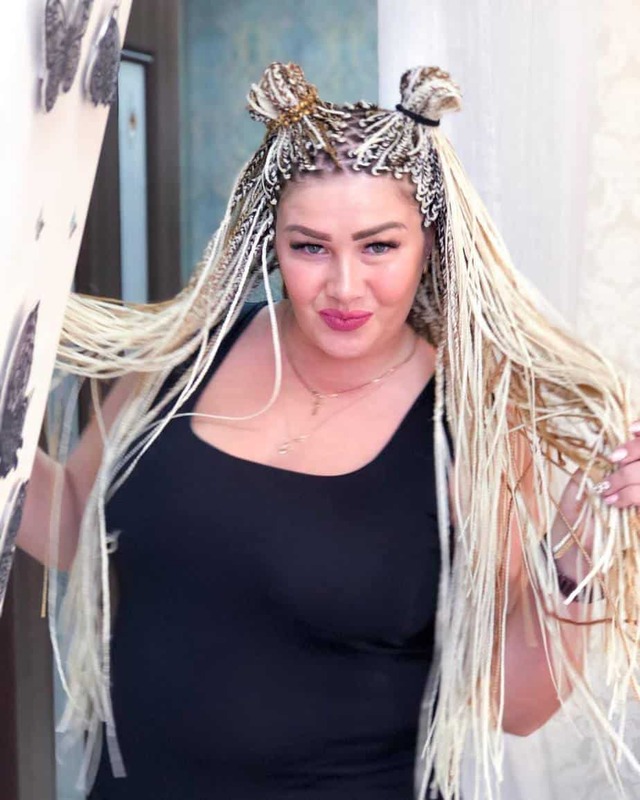 In hairstyle trends 2019, there will be a boom of pigtails. 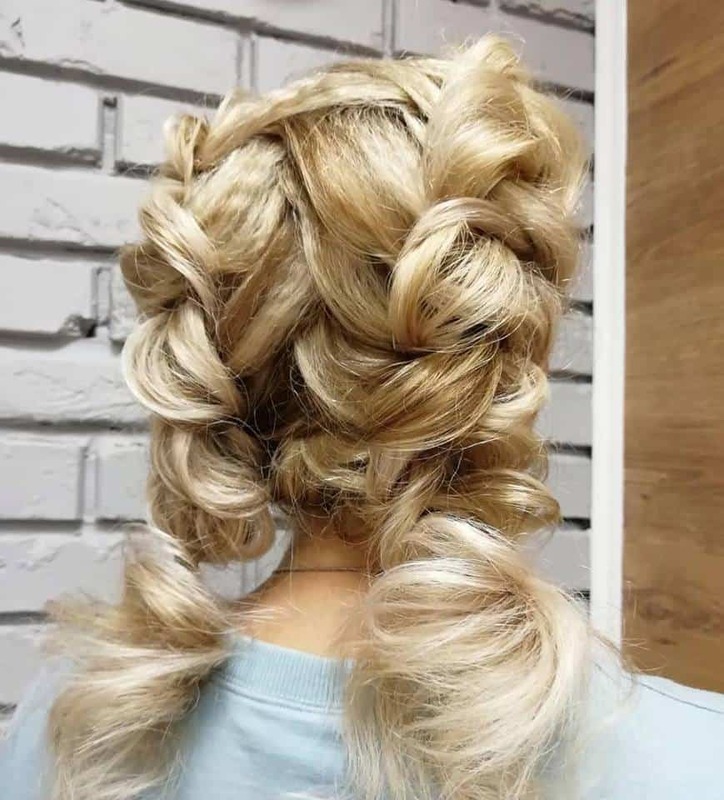 This simple female hairstyle will be so popular that it will earn the right to become a part of business style. However, with some amendments. 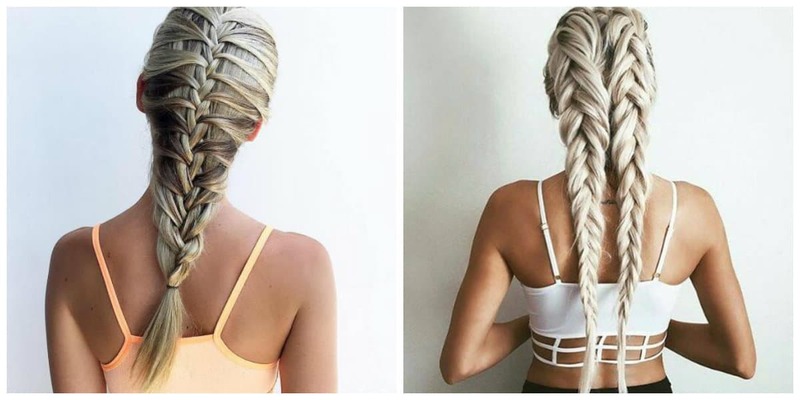 Business hairdo is best with 2 perfectly smooth braids, braided behind ears. 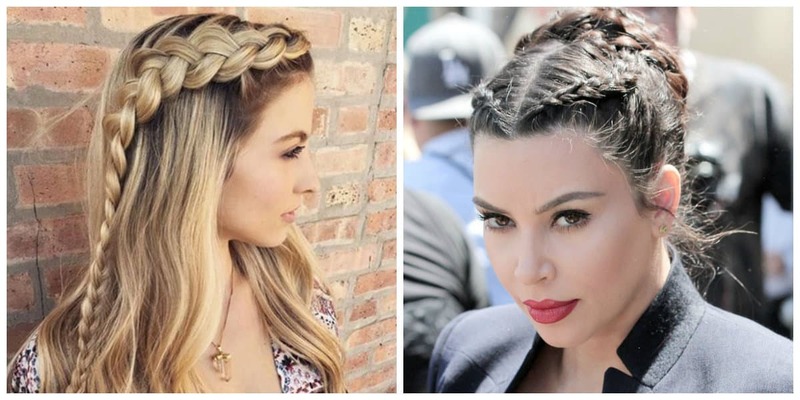 However, you can wear smooth braids with a riotous leather jacket. 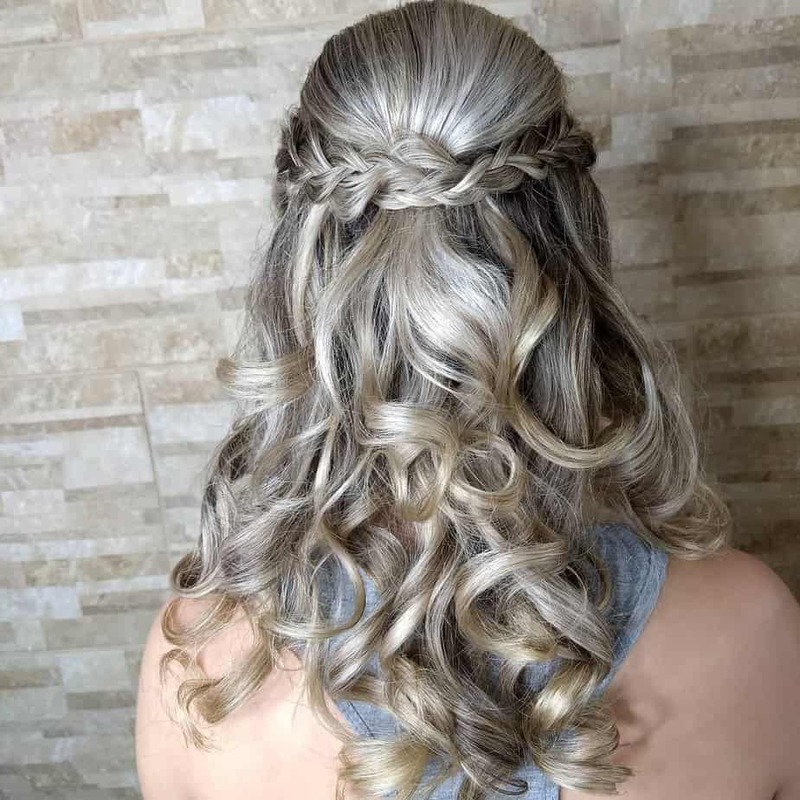 This hairstyle will word for every day looks and for any occasions, from shopping with friends, banquet in an evening dress. 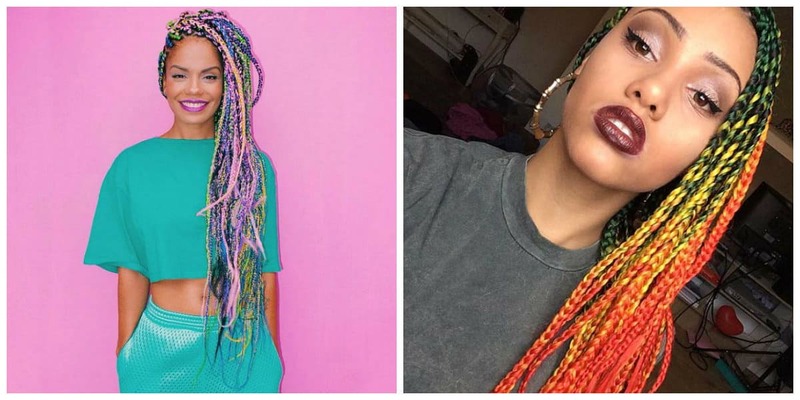 Braided hair with colored strands is a very beautiful look. 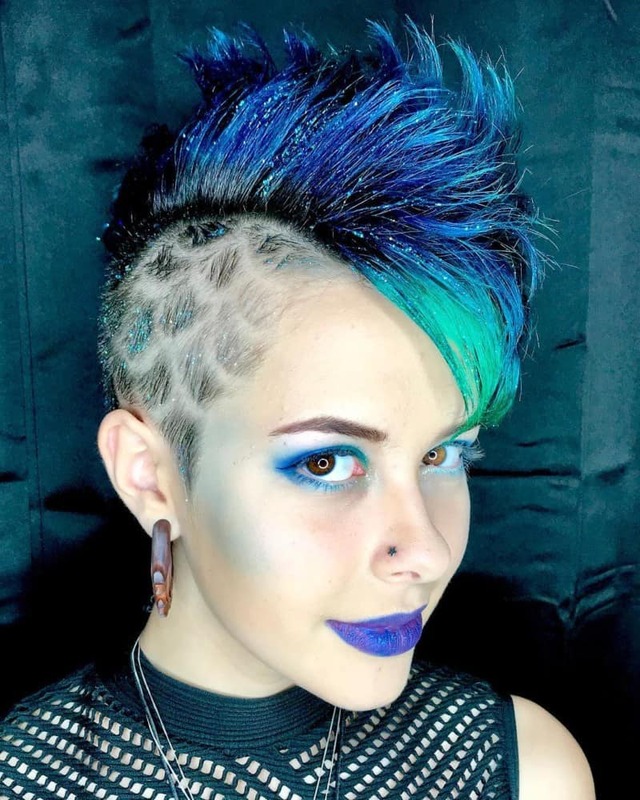 To do this, you can color streaks with unstable paint (washed off 7-10 times), or use special materials: synthetic strands, ribbons, colored threads with feathers or beads. 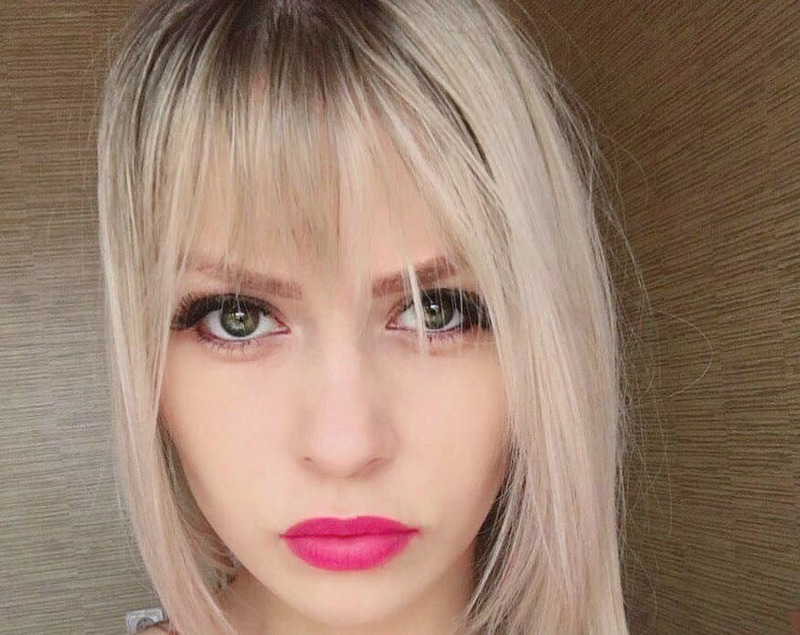 Bangs are a stylish trend of female haircuts 2019. 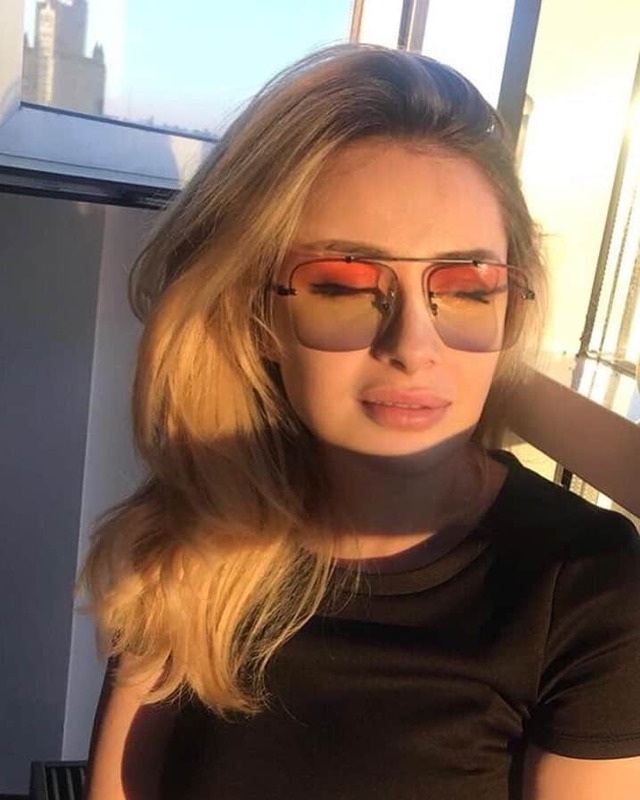 You can wear them with both long and very short hair. 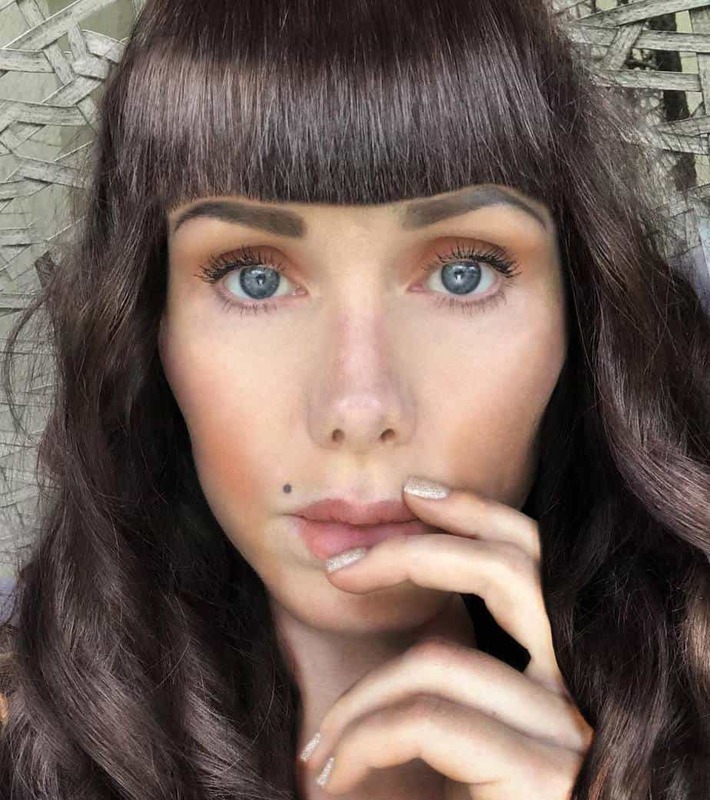 In the second option, bangs look incredibly cool! You can refresh your style with the help of thick, even and long bangs, focusing on eyes and getting a mysterious, a slightly cosmic look. In any case, long bangs with a short haircut is for bold women who are ready for experiments. 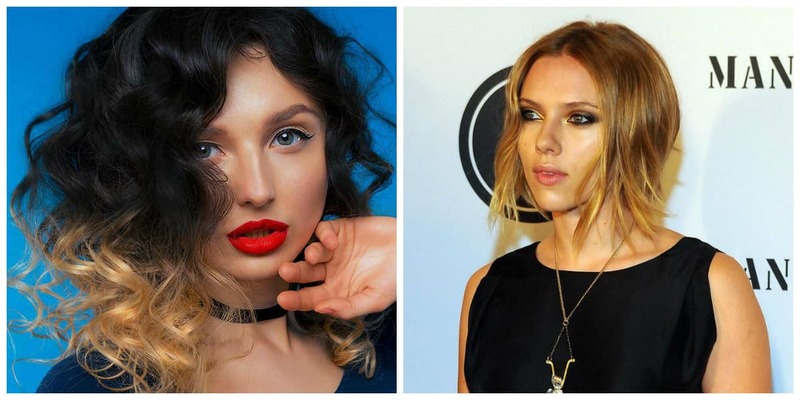 In case you like classical style more, try getting light bangs, keeping the basic hair length. 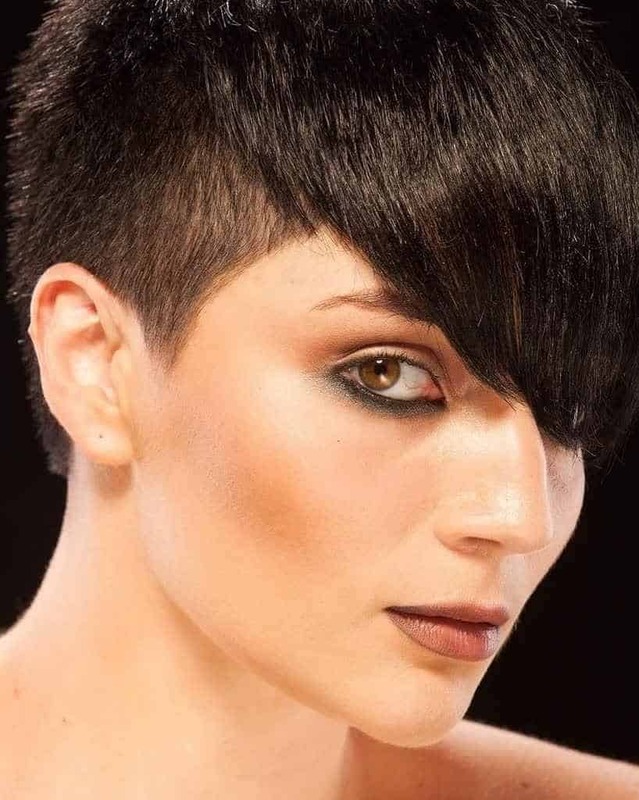 It is best to lighten the hair a little from the middle and duplicate the color transition on the bangs. 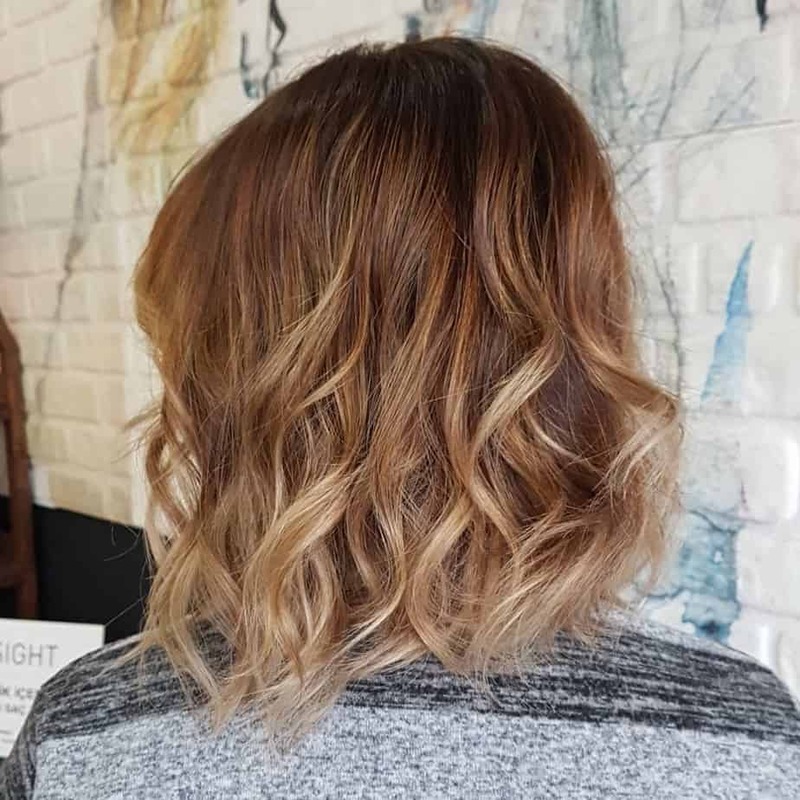 For those women who want a new hairstyle, but are not ready for radical changes, we recommend to cut your hair to medium length. 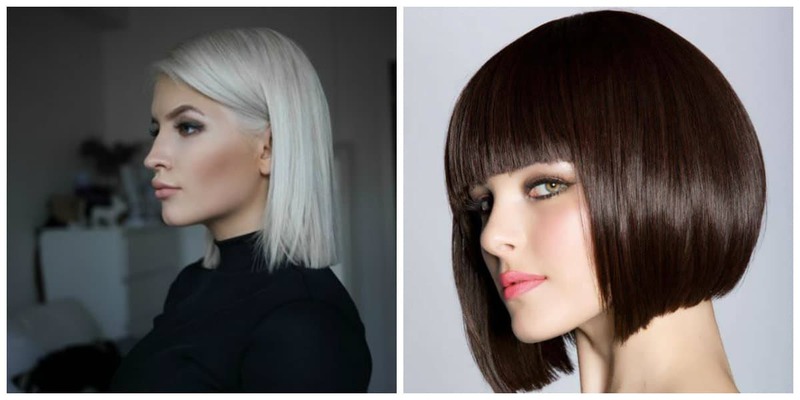 Such options are elongated bob or caret without asymmetry. 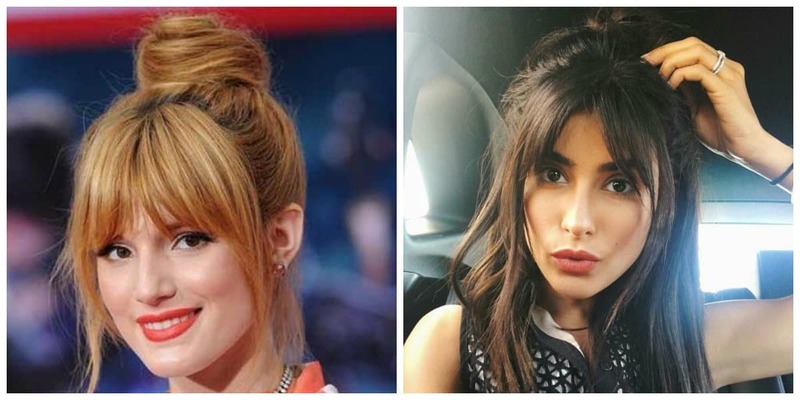 It is a good idea to emphasize the haircut with thick bangs. 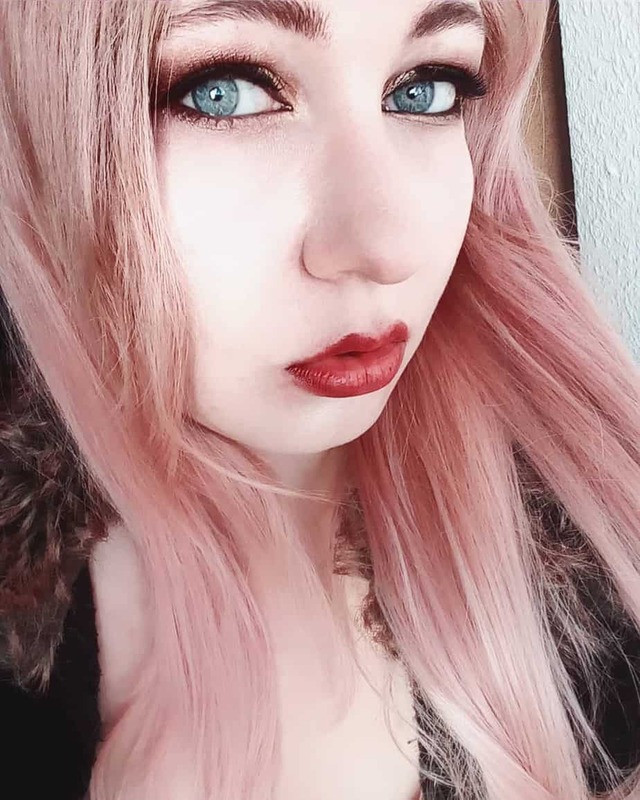 A few years ago, a woman with pink or blue hair caused shock to any audience. 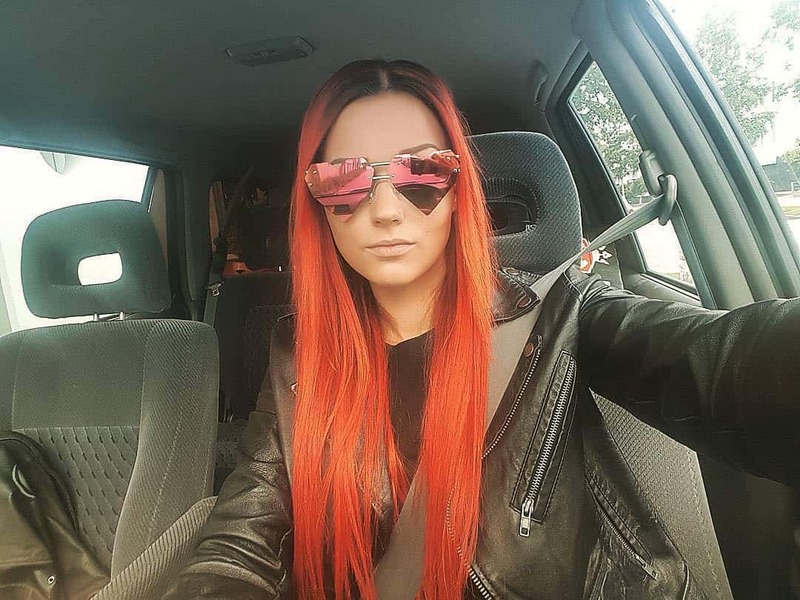 In hairstyle trends 2019, this is not only habitual, but also very fashionable. Leaders in color staining are pink and shades of violet. 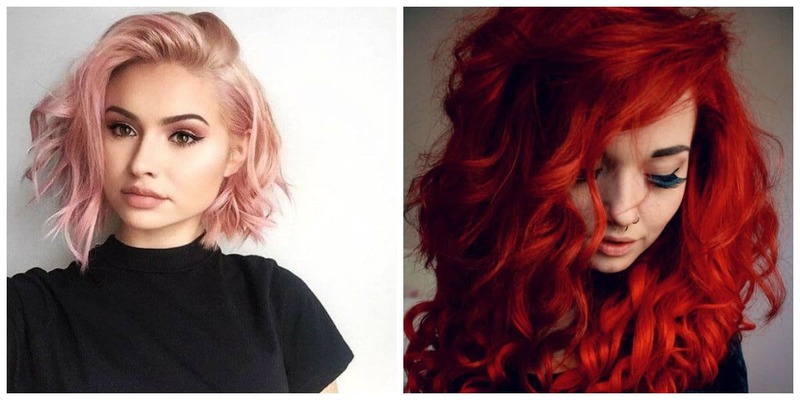 In 2019 fire colored shades of red, including bold carrot shade of orange will also be relevant. 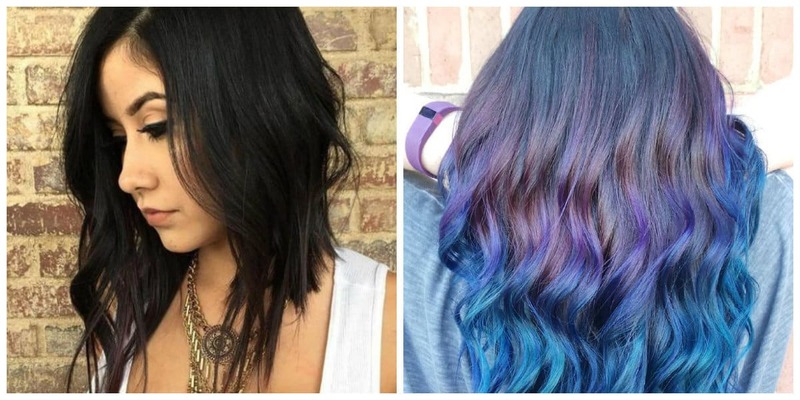 Pay attention to interesting trends among popular beauty bloggers: bright colors are preferable for short hair. 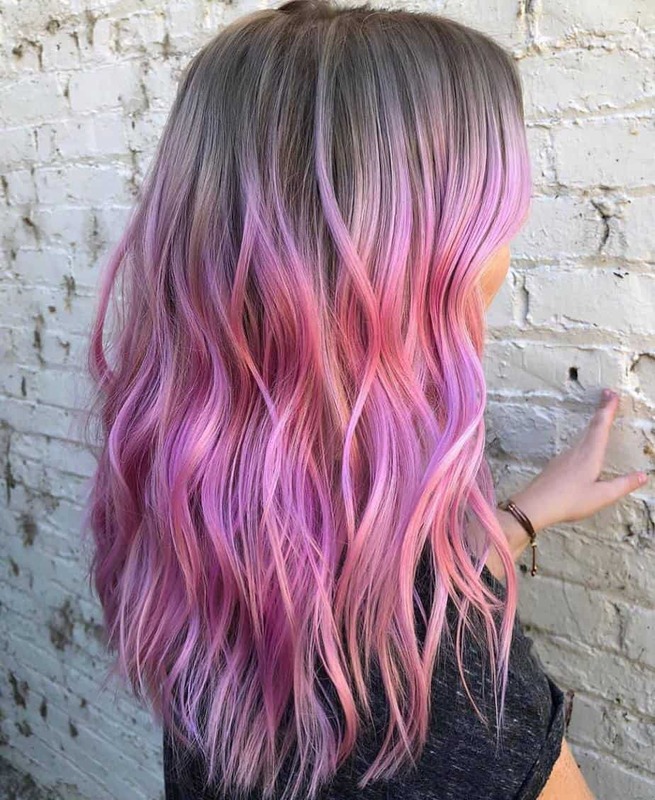 Meanwhile, long hair owners should choose more pastel shades. 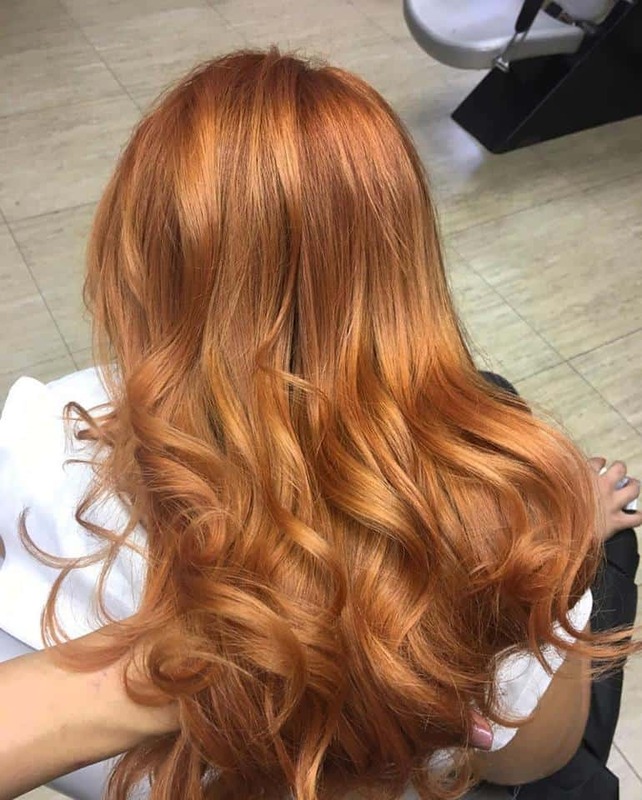 True, the red color bypasses this rule: red-chestnut and copper will look magnificent on lush and long hair. 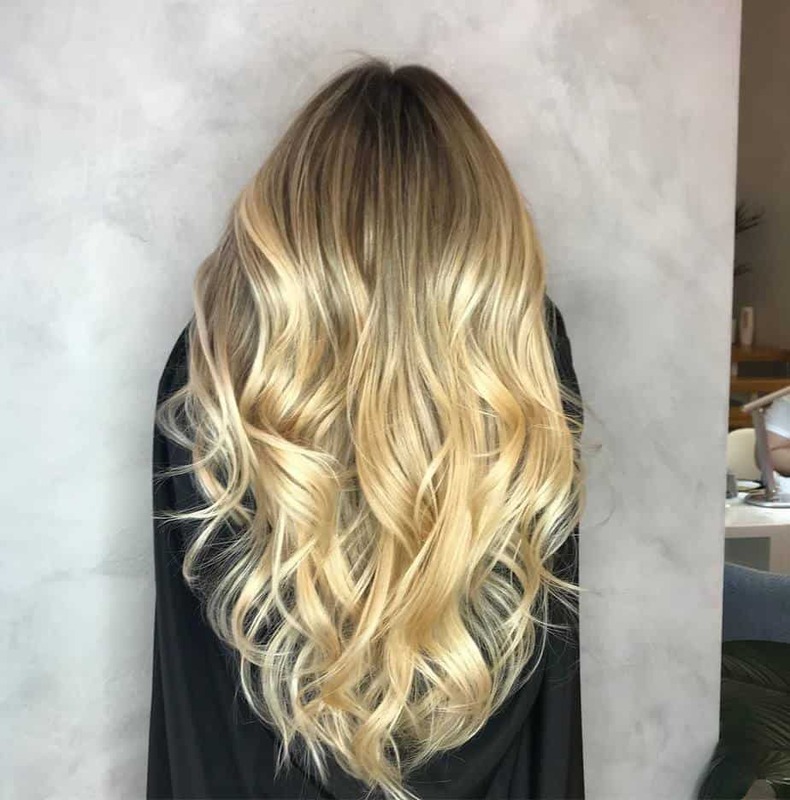 Lead stylists in 2019 strongly recommend long-haired blondes to collect hair in a non-tattered ponytail. This elementary hairstyle will be elevated to a cult! 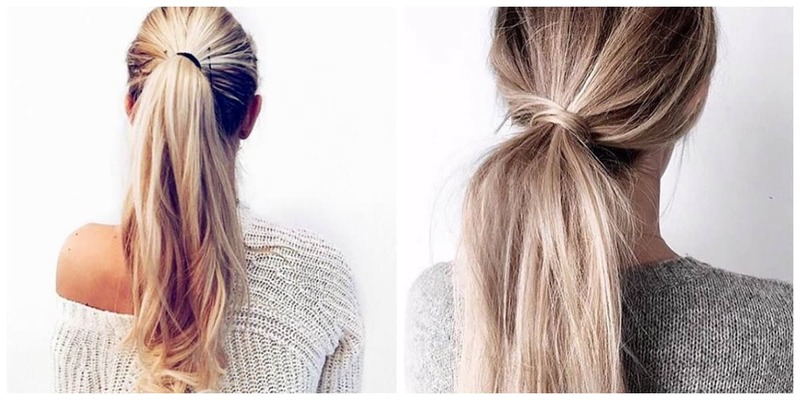 Ponytail is loved by everyone for its versatility. You can go to work wearing it, go shopping and be irresistibly beautiful at any party. Piquancy hairstyle will give a slight promiscuity: just don’t tighten the elastic too hard, leave free volume. In case worry about strands that aren’t in the tail, take them behind the ears. 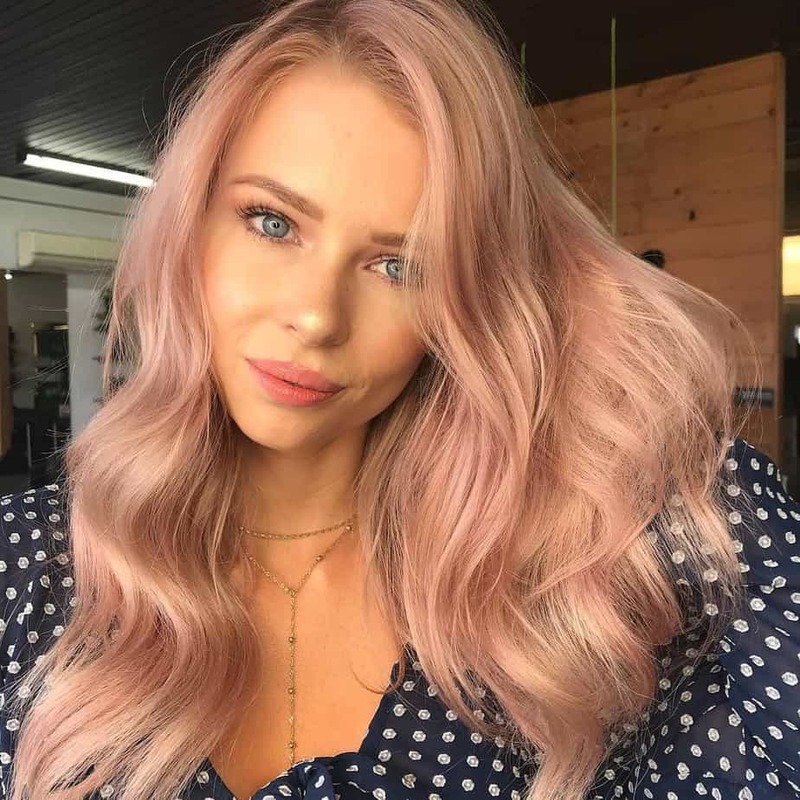 This is one of the current hairstyle trends 2019, which will appeal to women with medium length hair and with catastrophic lack of time, well, or frankly lazy women. 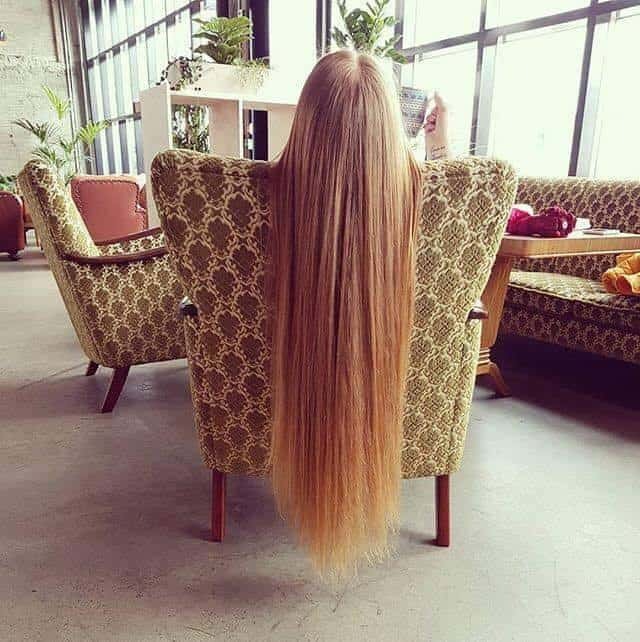 Loose hair will be in fashion hairstyle 2019. 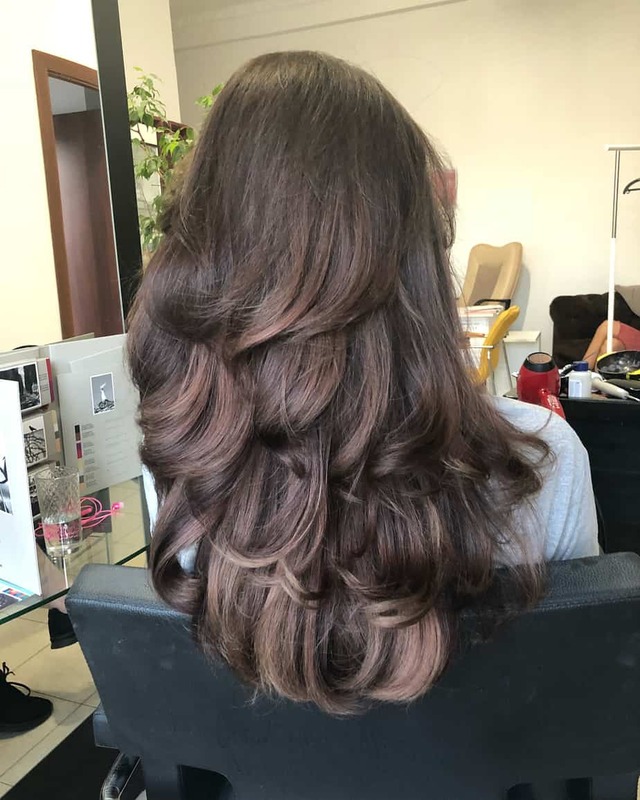 The main feature of the hairdo is volume. Therefore, the owners of lush and curly hair can rejoice. In case you have thin hair, give them natural volume from the roots, so that styling looks alive. Longer or lusher the hair, the better for your style. There is no need to remind that negligent styling is also styling. Try different options. Don’t be surprised, again reading about fashionable spits. Weaving is a leading beauty-hit, especially if we are talking about holidays and celebrations. It’s easy to create, while magnificent in appearance. It assumes one or two pigtails-spike, woven along the head. 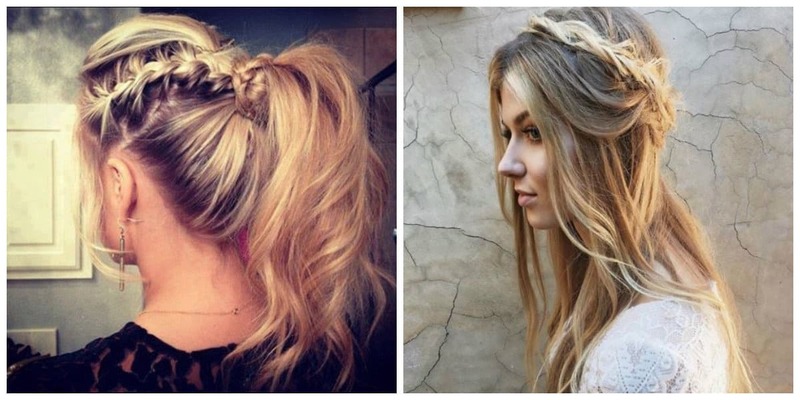 Start the braid from the forehead, weave to the top of the crown and just there tie a high tail. 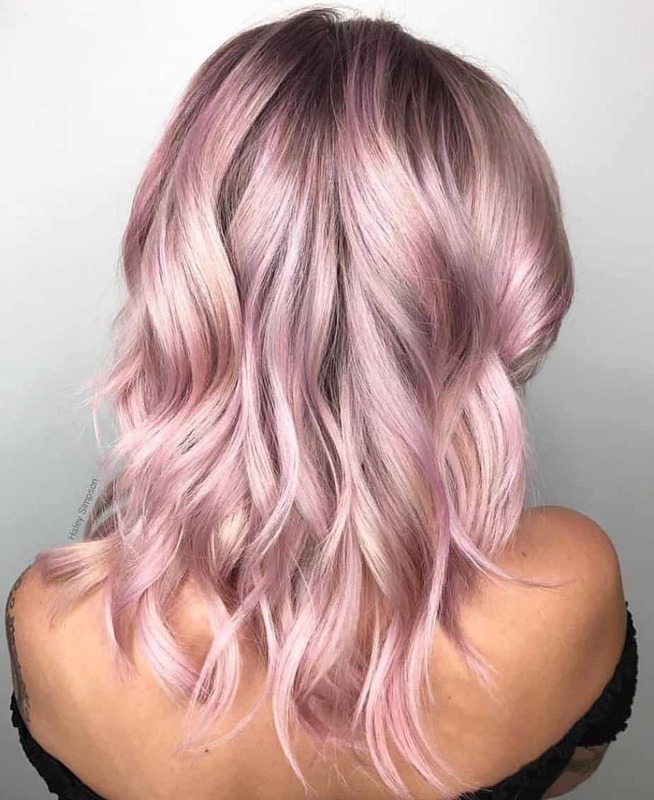 In case you weave two spikelets, make an intricate parting in zigzags, or powder roots of the hair with shining sequins. The rest of the tail, by the way, can be twisted with a curling rod to make soft airy curls. 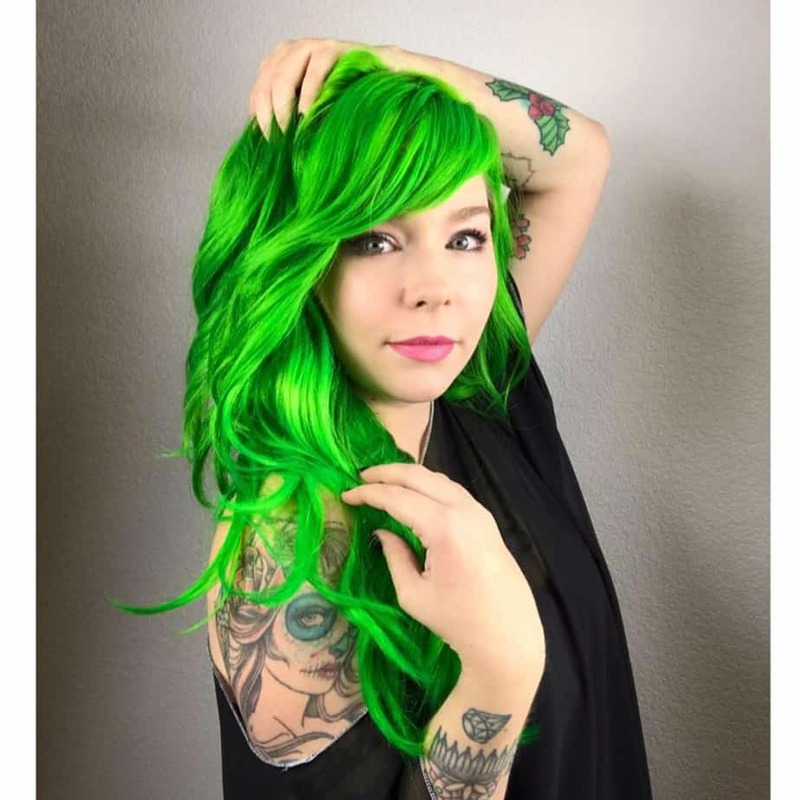 Moreover, decide on experimenting and coloring a few strands in bright colors: green, purple or red, it will add to your glossy style.